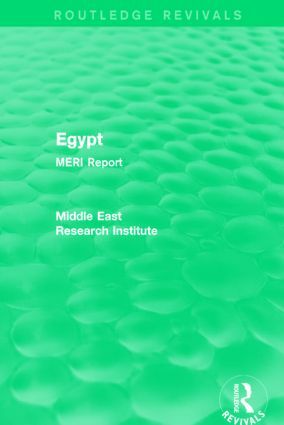 First published in 1985, the Middle East Research Institute (MERI) Reports on the Middle East quickly established themselves as the most authoritative and up-to-date information on the state of affairs in the region. The books provide vital analysis of the political and economic issues affecting the countries involved at the time. This reissue set covers topics including political structure, risks to stability, planning and public policy, finance, defence and agriculture in Israel, Turkey, Iran, Egypt, United Arab Emirates and Kuwait. The Meri Report on Saudi Arabia is available separately.